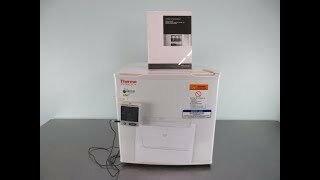 The Thermo Benchtop 4°C Lab Refrigerator 02LREETSA is a compact benchtop model built for everyday laboratory use and convenient storage. This freestanding lab fridge has an adjustable temperature range of 1º to 12ºC with manual defrost and CFC free insulation and coolant. This undercounter lab refrigerator is an ideal choice for general purpose applications where precise control is not required. This Benchtop Refrigerator is 1.8 cu ft in capacity and is built with an easy to clean interior and corrosion resistant exterior, with indoor storage and a reversible door. Unit is Brand New in the box and tested by our service team, as part of our inbound testing process. This Thermo Benchtop 4°C Lab Refrigerator has been fully inspected and comes with current temperature validtaion. Unit is Brand New in the box and tested by our service team, as part of our inbound testing process. All of out lab equipment comes backed with our standard warranty. Should you have any questions, please don't hesitate to contact us.